The bush-life definitely has some major pros and the thrilling experience of having a wild animal walk just a few meters from you definitely gets one’s heart pumping. 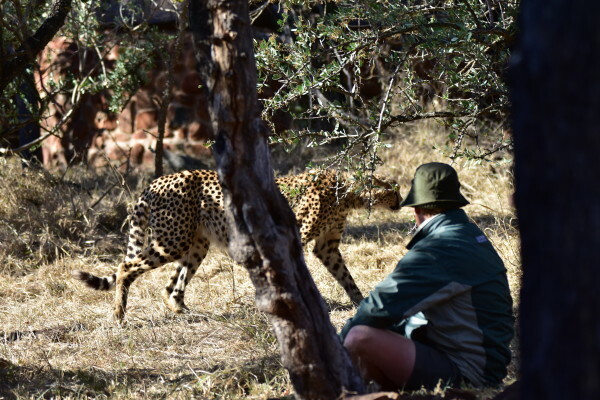 Here at Leopard Mountain, we’ve had some exciting experiences with lions, hyenas, and cheetah. 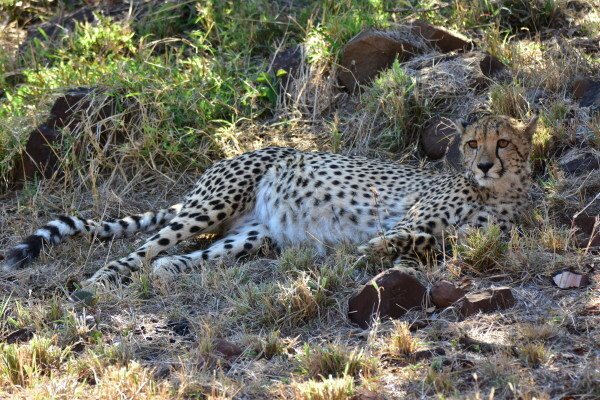 Our most frequent visitor of late being a female cheetah who has really made herself quite comfortable here. She is often seen drinking from the small birdbath at our reception and has been witnessed chasing down nyala through the turning circle. We suspect that she visited a few months before with her brother who must now be a solitary individual. 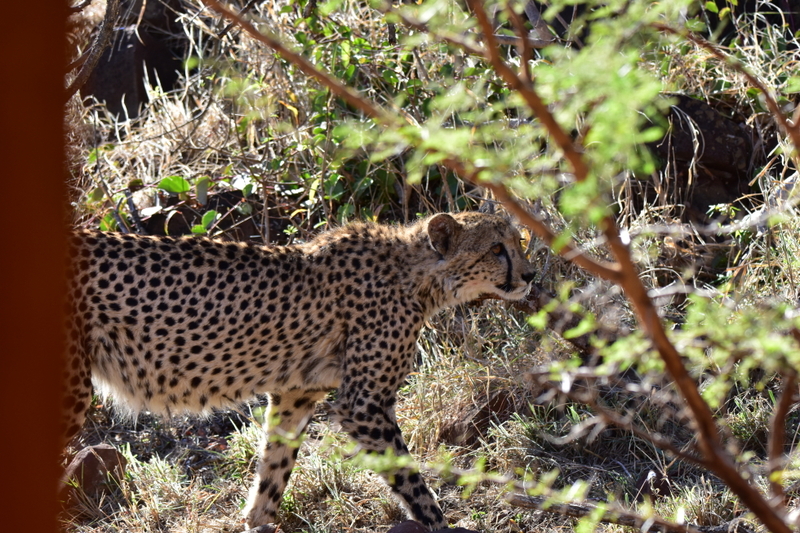 During a morning game drive, she was found by a pleasantly surprised staff member doing the morning housekeeping. She was found with a fully engorged belly relaxing not more than 6 meters away from chalet 6’s private deck. After the guests watched her disappear behind staff accommodation towards the end of their drive, she was later encountered fast asleep under a shady tree on a walking safari just behind the lodge grounds.